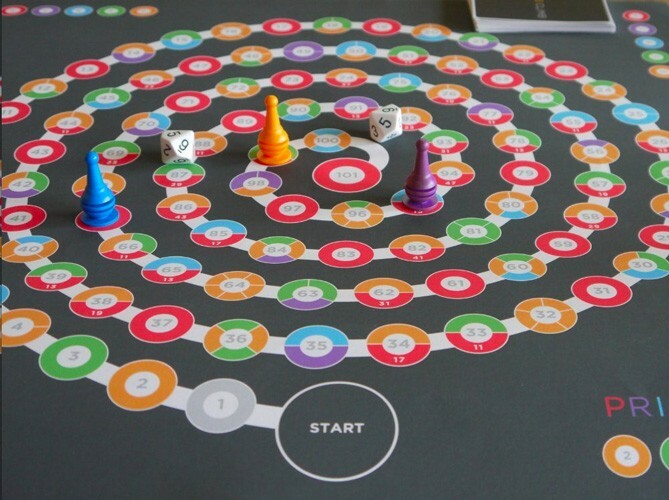 Prime Climb is a beautiful, colorful, mathematical board game for 2 to 4 players! Roll the dice and add, subtract, multiply and divide your way to the center of the board, picking up Prime cards and bumping your opponents back to start as you go. The first to land both pawns on 101 wins the game! 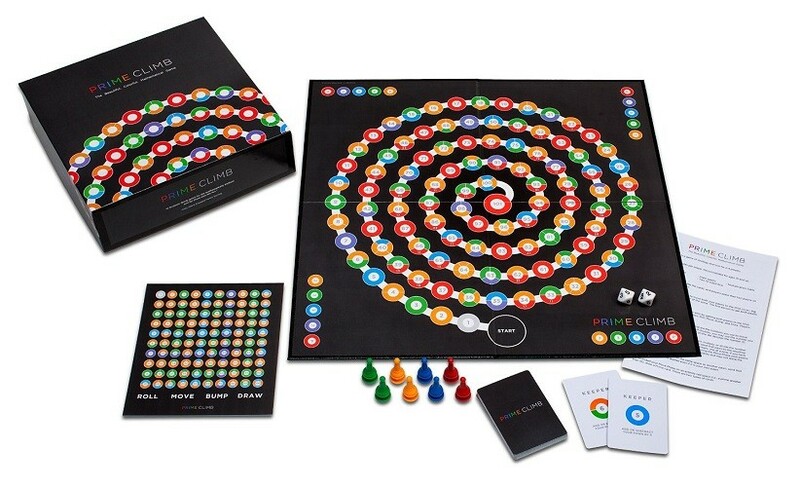 Winner of Dr. Toy's 2015 Top 10 Educational Toy Award and a Mom's Choice Gold Seal, this beautifully designed game is the perfect way to help solidify math concepts while making learning fun for kids and adults alike. The unique color coding system for each numbered space helps kids understand multiplication, division, factors, and prime numbers in a new way and inspires deeper mathematical comprehension. 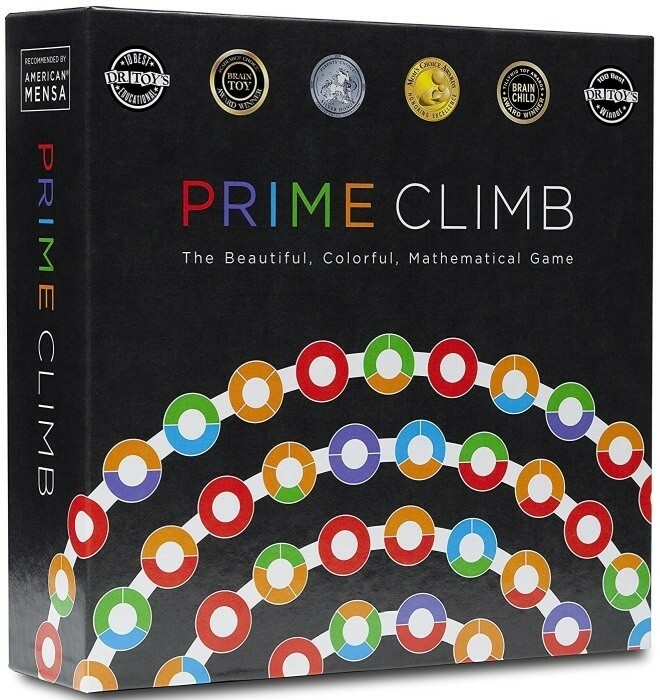 Prime Climb is a perfect game for families and schools, kids and adults. 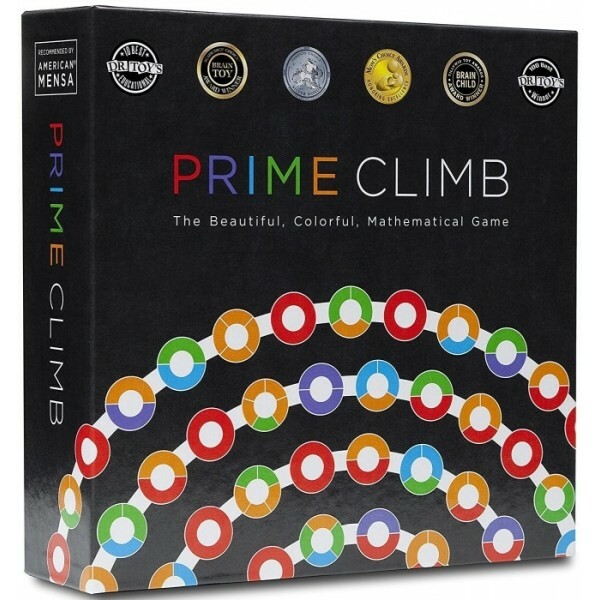 Awaken your love of math with Prime Climb!